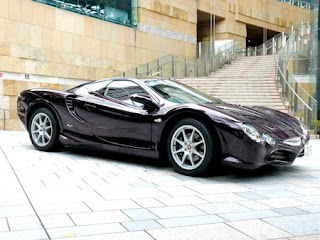 "So Mitsuoka, 57, built his own gas-guzzling monster. Dubbed the Orochi after the mythical Japanese beast that's much like the Hydra of Greek legend, it's powered by a 3.3-liter V6 engine that propels the wide-body machine to a top speed of 150 miles per hour. It drinks a gallon of gasoline every 20 miles. Toyota's Prius hybrid car can travel 48 miles on the same amount. Since the Orochi went on sale two years ago, he's sold 40 in Japan and 2 in Singapore--at roughly $100,000 each--and he says his order book is filled for the next six months. 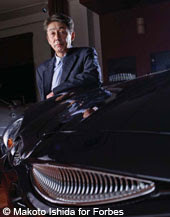 He now has dealers lined up in Hong Kong, Singapore and Malaysia, and dealers in the United Arab Emirates and Jordan have begun to offer the car to well-off Arabs. He says more dealerships, including one in neighboring Qatar, will soon join them: "In the Middle East people aren't interested in eco-cars, and water is more expensive than gas.''" 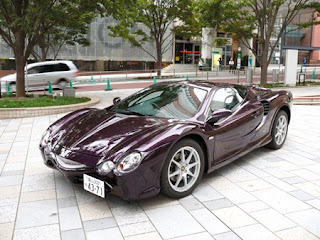 Way back when, in the 1980's and 1990's my father used to export US cars to Mitsuoka in Japan.